Superior Security with "Default Deny" posture and our proprietary secure, auto-containment technology avoids infections to prevent damage from zero days and malware that "Default Allow" solutions let through. Enhanced Productivity for both IT Security and end-users by allowing uninterrupted use of their favorite apps in a secure environment. Improved Network Visibility allows you to see what is going on in your network environment with IT and Security Manager. As the #1 largest certificate authority brand in the world, Comodo is uniquely positioned to identify known good software publishers, applications (whitelists); while our installed base of over 85 million users provides the Comodo Threat Research Lab (CTRL) with one of the largest caches of known bad files (blacklists). Our global product development and malware research team has security professionals working 24x7x365 in countries like the USA, UK, Ukraine, Turkey, India and the Philippines, to ensure that unknown files are rapidly identified before they are able to cause damage. Comodo's automated containment technology is extremely lightweight, has no CPU dependencies, and is application agnostic unlike other containment solutions in the market. 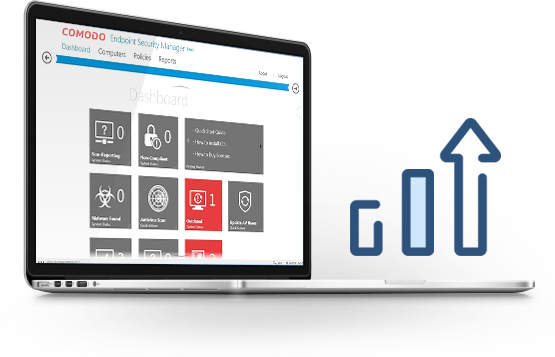 Comodo Endpoint Security Manager provides centralized management of Comodo's 7-layered security suite that proactively protects endpoints and their applications against malware and advanced threats. Comodo Certificate Manager gives our team a central repository to manage and track all the digital certificates across our entire network. Comodo Certificate Manager has become a major part of our IT management infrastructure, allowing us to update, add and delete thousands of digital certificates with a streamlined dashboard and email alert system.